Formed in 2014, Scream Serenity are currently becoming established with their stage performances having performed around the UK and with further touring plans for 2018. After previously released an EP Beyond This Land, Eye Of The Storm follows as their debut album. The first track, The Best Of The Worst, begins with an atmospheric opening that leads to a gradual build-up of instrumental layers. The distorted guitars create a full sound which is accompanied by the raw, strong vocals, which are not dissimilar to Black Stone Cherry’s Chris Robertson. Track three, Save Yourself, opens with an energetic chord sequence and fast percussion, and a chorus that includes held backing vocals which add an extra layer to the full sound. Track four, Run Away, begins with a different tone; acoustic guitar motifs and vocals, before the distorted guitars are introduced. This track acts as an effective contrast to the fast pace of the previous track, but still retains a full sound with their use of instrumentation. 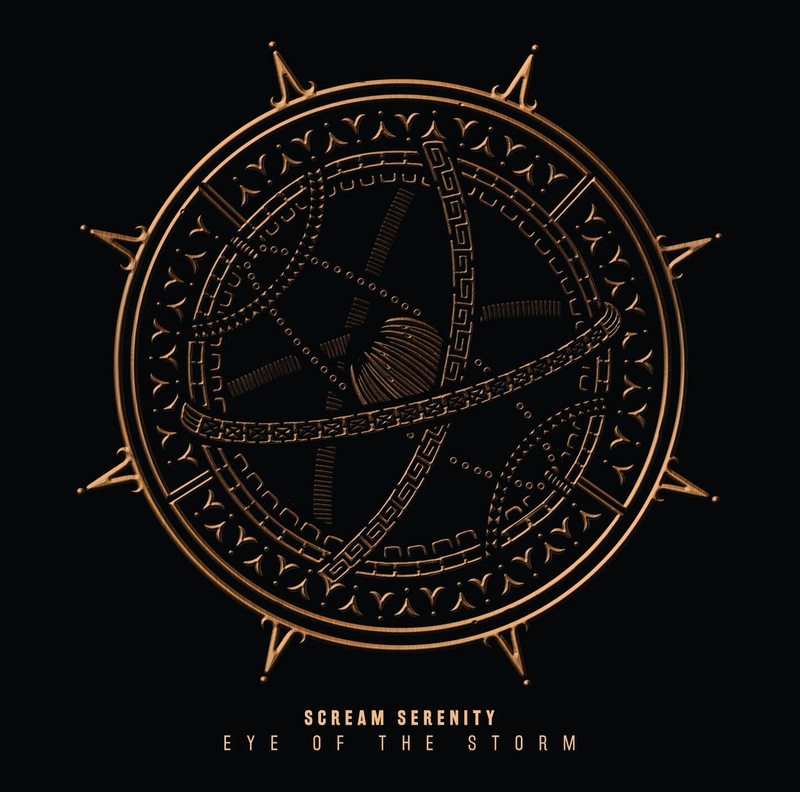 Scream Serenity show their diverse musical abilities on Eye Of The Storm. The track opens with reverb effects on the guitars and involves gradually layering of motifs and a chord sequence from an acoustic guitar, and percussion that also appears more prominent. As the track progresses the instrumental layers build through the addition of distorted guitars and harmonising vocals. Enough is one of the heavier tracks on the album with hefty guitar chords and more aggression in the vocals. The heaviness of the track is contrasted with harmonised guitar melodies and with the ending reducing to only percussion and harmonised vocals. This leads into Better Off which opens with clean guitar melodies and chords and softer vocals. Track nine, Waiting For The Answers, opens with fast paced guitar riffs, heavy chords and prominent drums creating a full, heavy sound. The vocals of this track have a darker tone to them in the verse, which contributes to the darker, heavier atmosphere. The shredding in the guitar solo show off the musician’s abilities. The final track, Rest (After The Storm) changes the tone from the heavy chords to a cleaner sound, with melodic guitar melodies and softer vocals to create a contrast to the previous track. The chorus contains some heavier chords and energetic drums, but reverts back to the cleaner sound in the verse. The calmer tone is an effective ending for the album following the heavier tracks that precede. Scream Serenity consist of competent musicians whose talent is displayed through the album, with their ability to combine varying tones across the tracks. With such as a strong debut album, they can only grow as a band, and it will be interesting to see how they progress with their music in future albums. ‘Eye Of The Storm’ by Scream Serenity is out now on 3Ms Music.